There is one dish that vividly reminds me of Christmas from my childhood. It's not turkey or Christmas cake or even trifle or 'pigs in blankets' (although I do still love these). 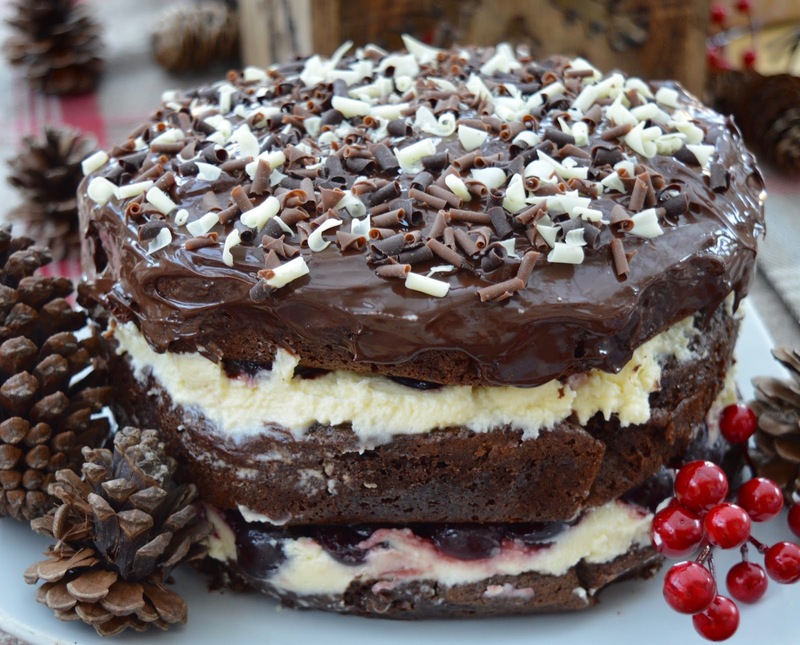 The dish that always evokes special memories for me is a classic Black Forest Gateau. 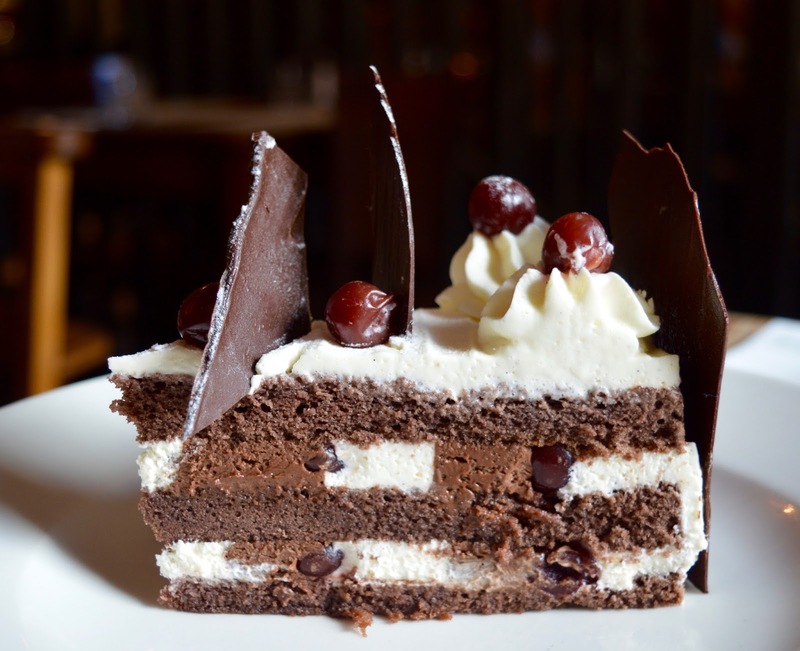 I haven't eaten this cake for years but a few weeks ago I couldn't resist a slice during Oktoberfest when I spotted it on the menu at The Broad Chare in Newcastle. As soon as I took a bite I was transported back to a Boxing Day buffet at my gran's house. 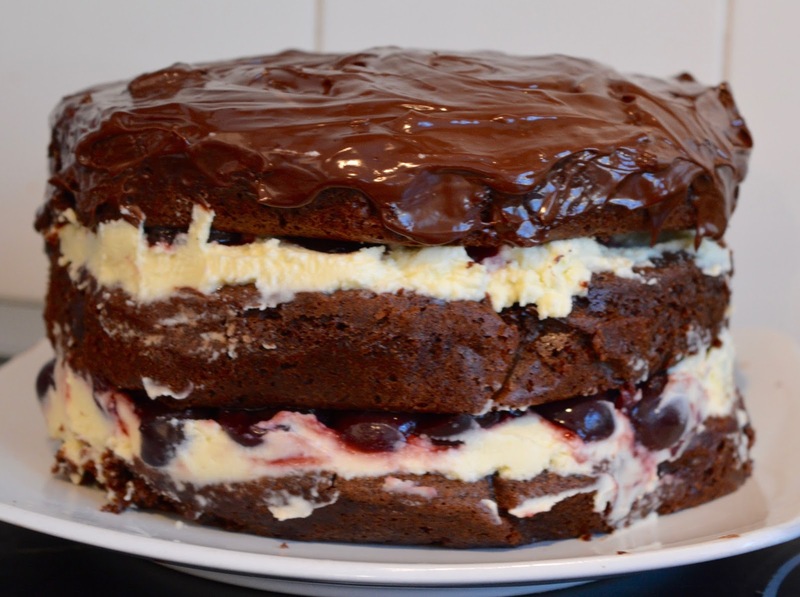 A Black Forest Gateau would stand proudly in the centre of the table and us kids would always ask if we could have a slice as soon as the buffet was open. Served with pouring cream from our fancy milk jug, it was a real Christmas treat. We were always made to wait until we'd eaten some turkey sandwiches before we were allowed a slice of cake, but it was definitely worth the wait. The grown-ups ups would often over indulge during our epic Boxing Day buffets and end up with heartburn which meant that us kids could go back for seconds. Happy days. I look back to the 80's with fond memories of Boxing Day buffets and just food in general if I'm honest. There wasn't much in the form of convenience food back then and my mum used to bake everything from scratch - she even made her own pastry. On top of working 2-3 jobs and raising a family. I don't know how she did it! So this year, I've decided to take a leaf from my mum's book and step back in time to the 1980's. 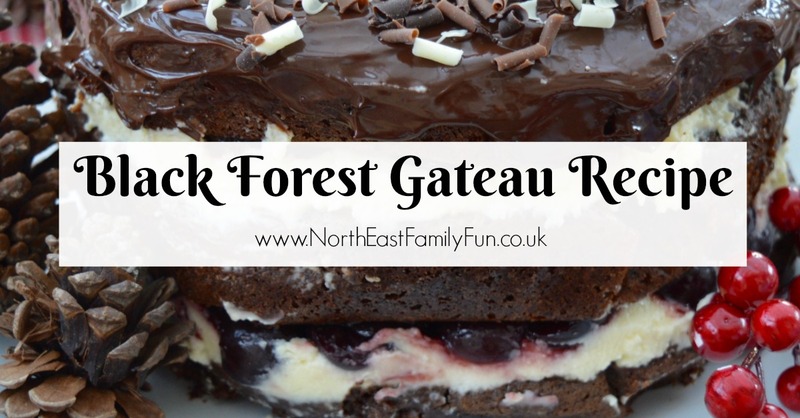 I have created my very own Black Forest Gateau for our family to enjoy. My recipe was inspired by BBC Good Food but I've given it a few 80's twists. 1 - Weigh out all of your ingredients. 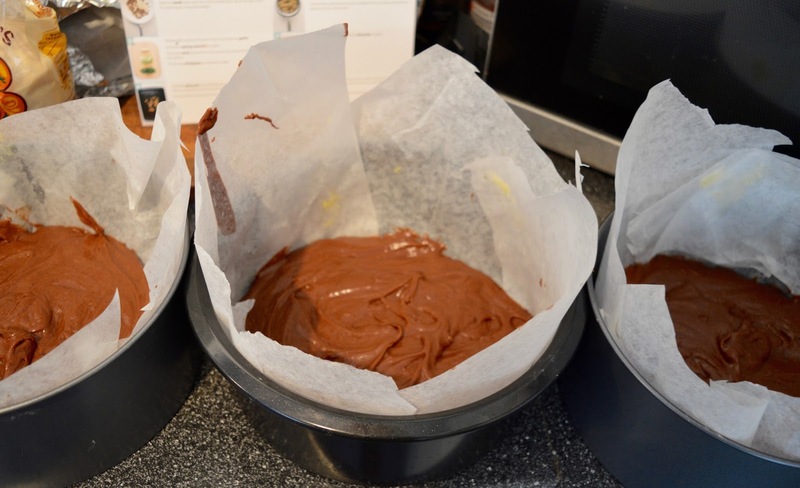 2 - Grease and line 3 x 20 cm cake tins and heat your oven to 160C (fan) or gas 4. 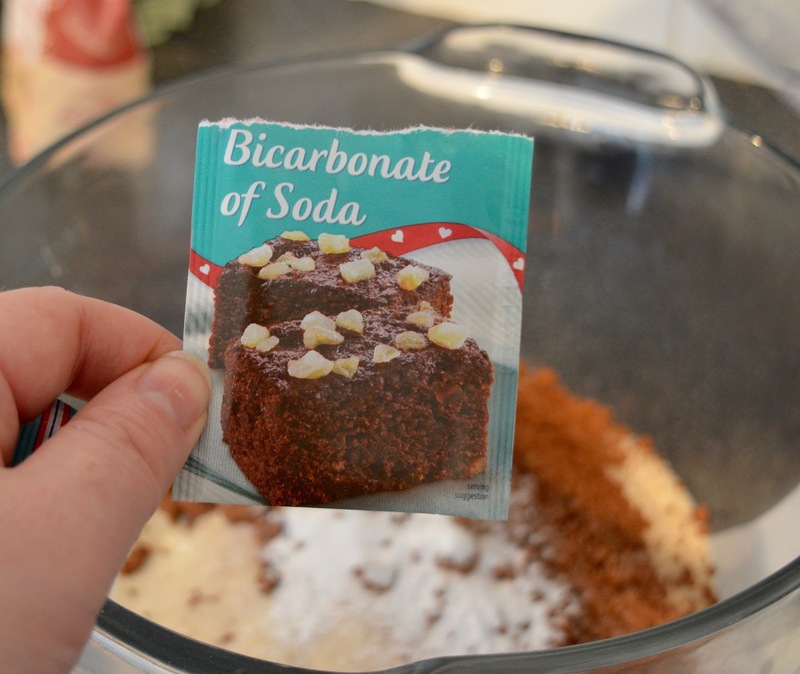 3 - Mix your flour, sugar, cocoa and bicarbonate of soda together in a mixing bowl with a pinch of salt. 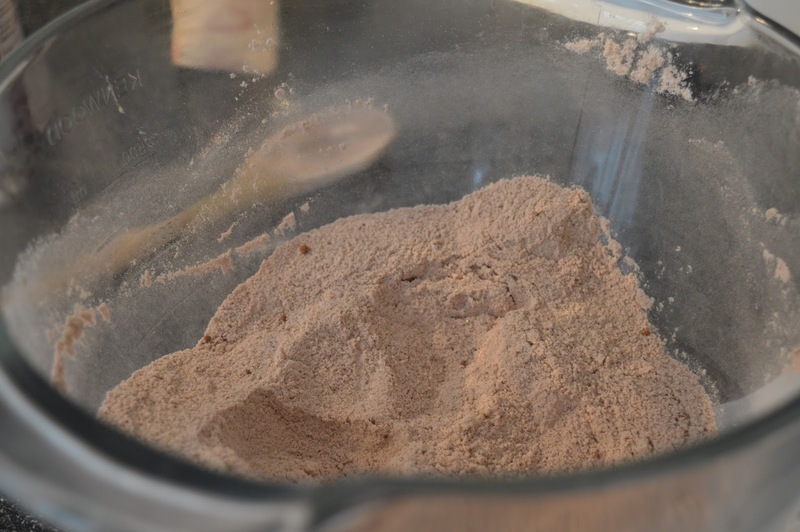 If you are going to be using a food mixer at a later stage, ensure your dry ingredients are in here. 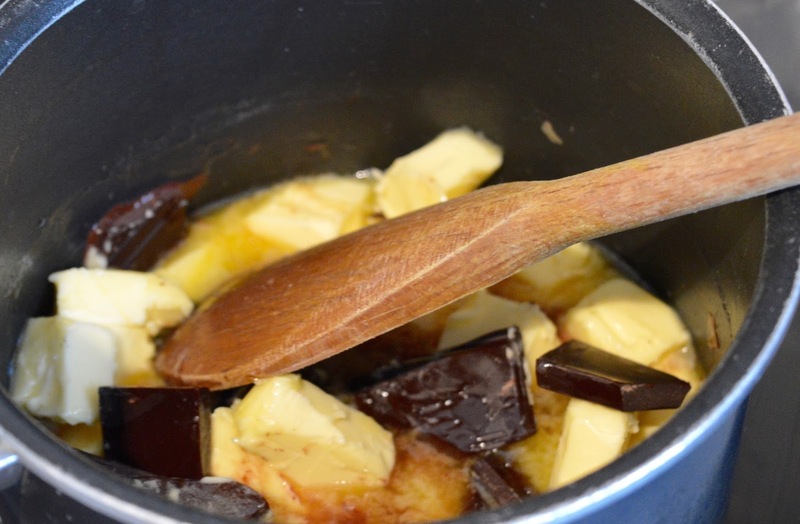 4 - Once your dry ingredients have combined, set to one side and boil your kettle. 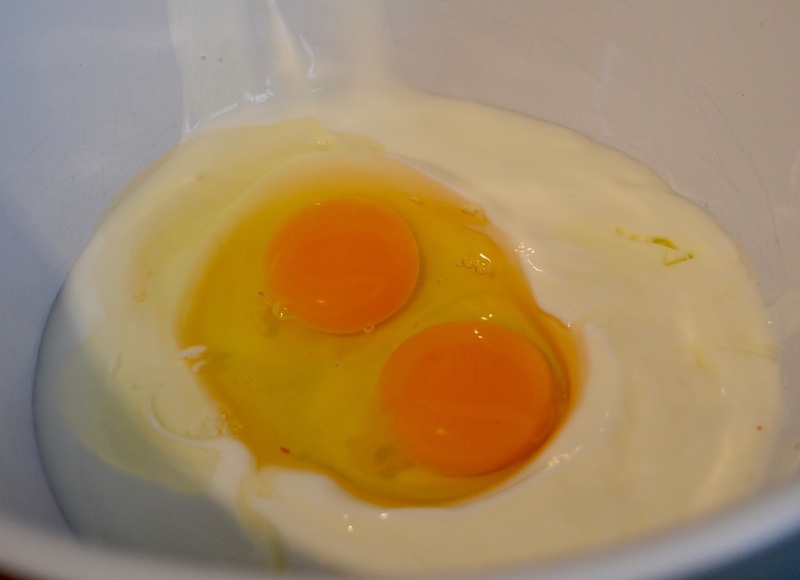 5 - Add 200ml of buttermilk and 2 eggs to a different bowl and whisk until they form a smooth batter. Set to one side. 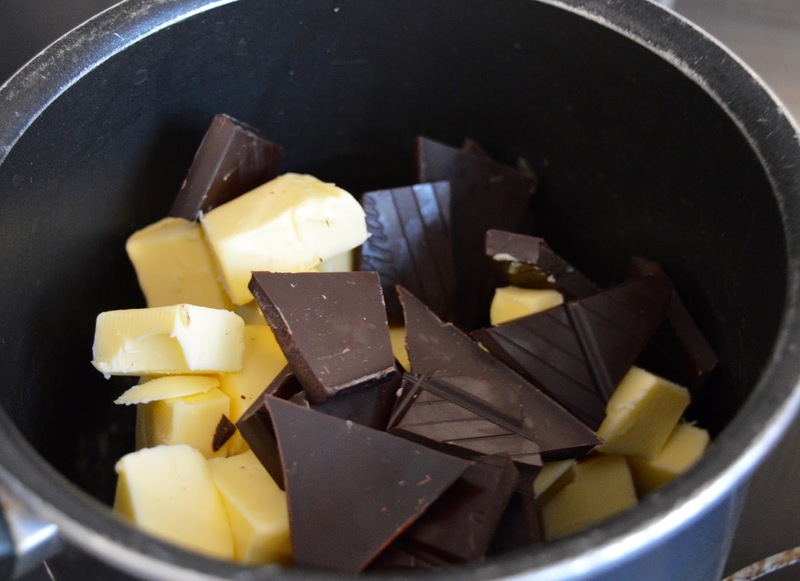 6 - In a small pan, mix 175g butter and 75g chocolate over a medium heat until melted. 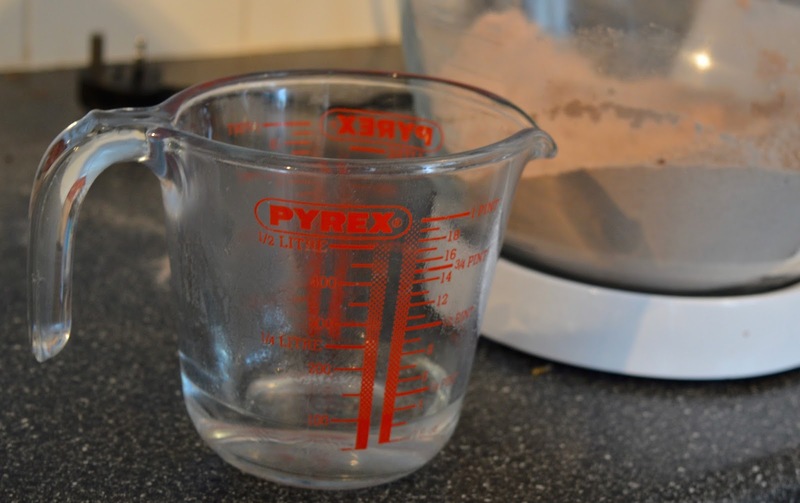 7 - Measure 100ml of boiling water into a jug and stand next to your dry ingredients. 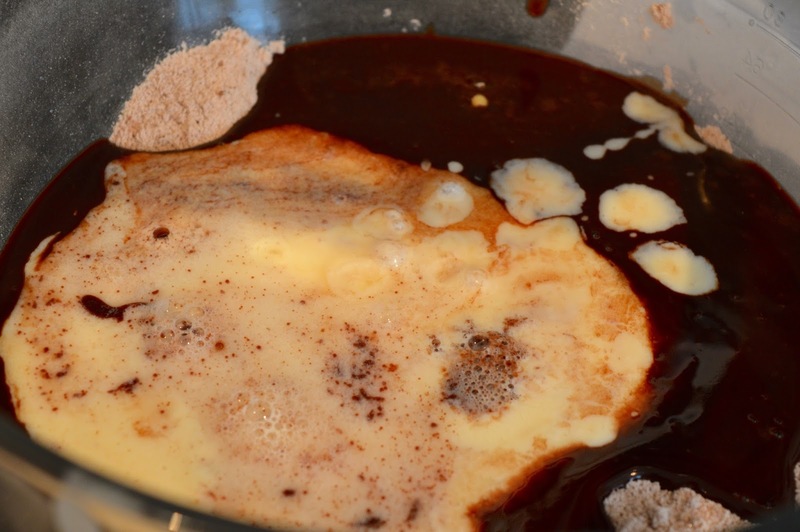 8 - Add your chocolate/butter mix and egg/buttermilk mix to your dry ingredients plus 100ml of boiling water. 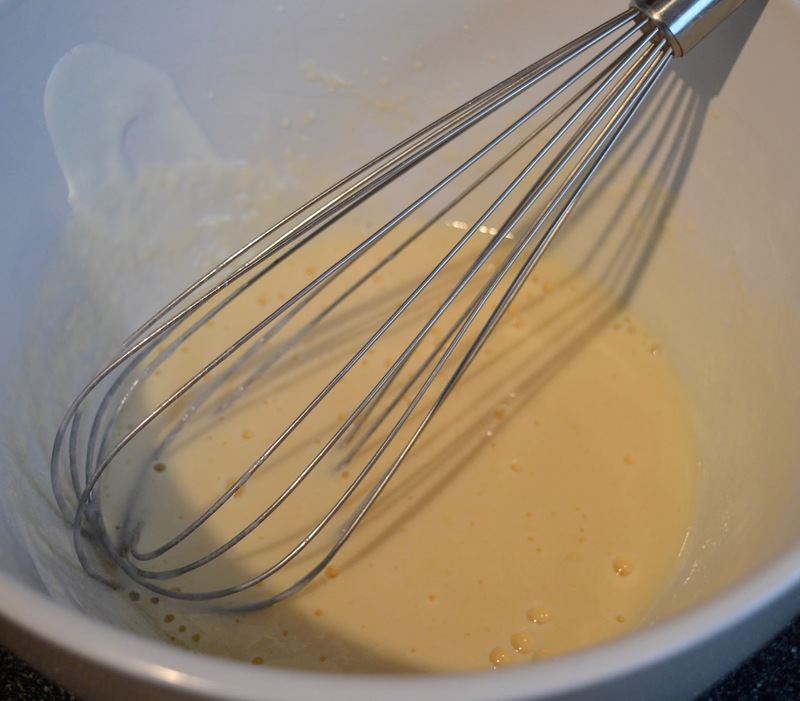 Quickly whisk until the cake batter is lump free. 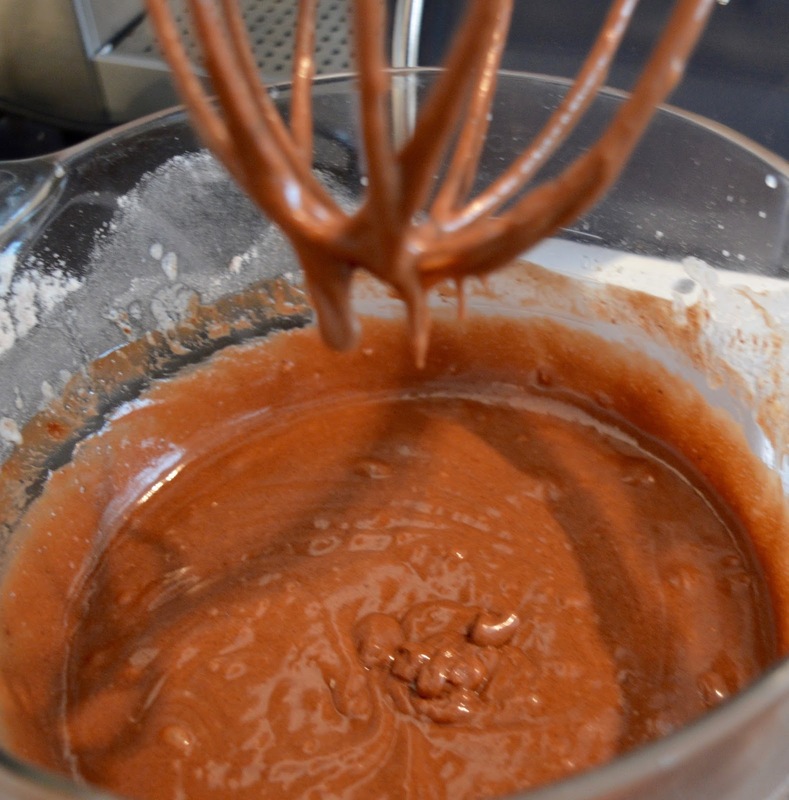 I used a food mixer for this stage but you can also whisk by hand. 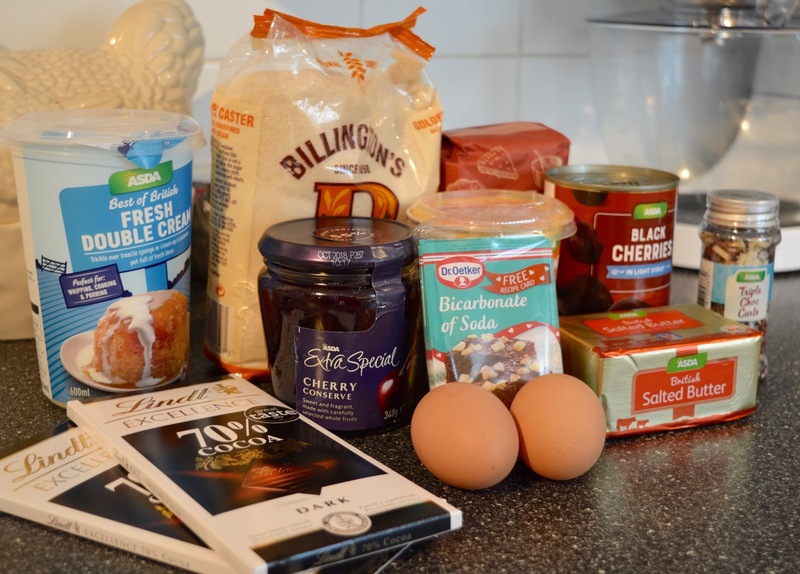 9 - Divide the cake mixture between your 3 cake tins and bake in the oven for 25-30 minutes. 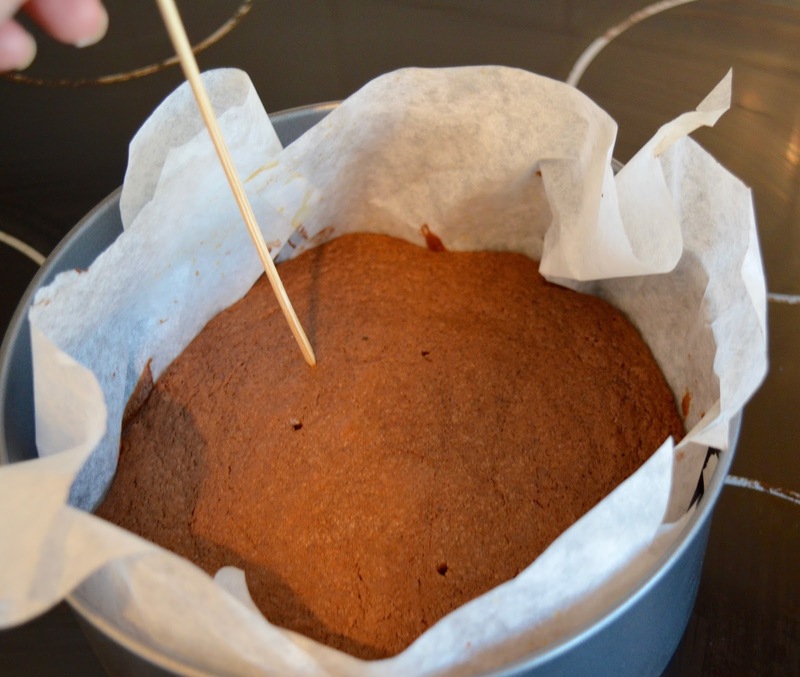 Test with a skewer - if it comes out clean, your cakes are done. 10 - Prick each cake around 10 times with a skewer (all the way to the base). 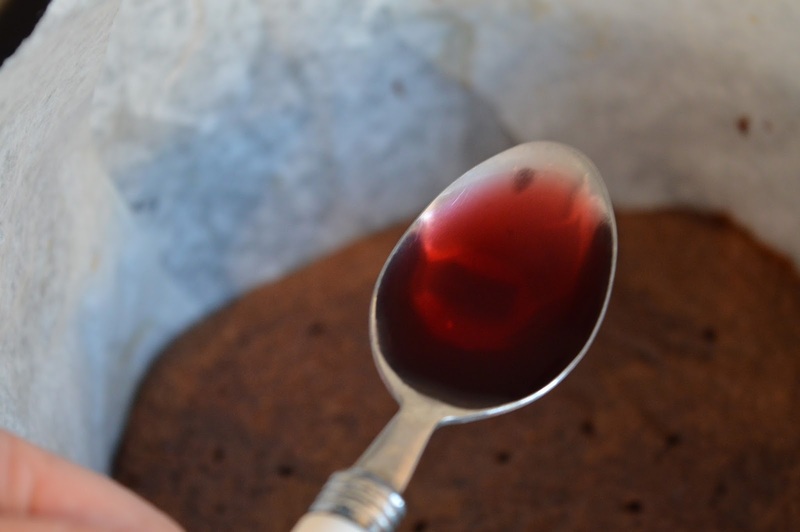 11 - Spoon 2 tbsp of reserved Cherry Juice over each cake and then leave to cool. 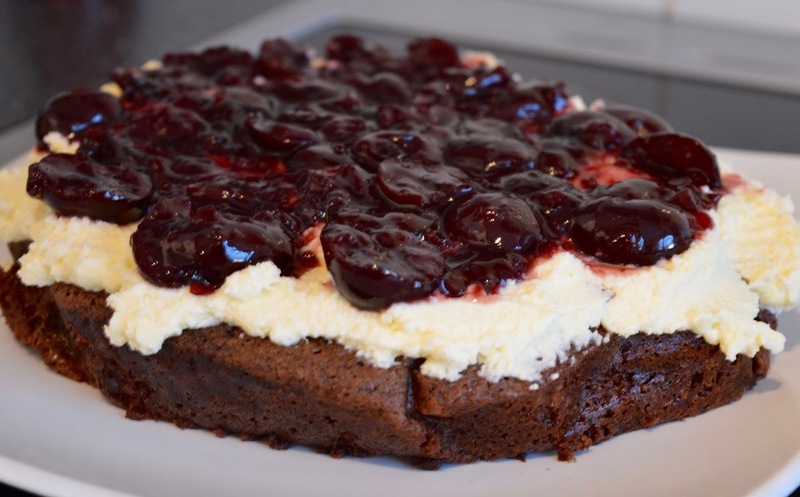 1 - Whilst your cakes are cooling, drain your cherries and cut each cherry in half. 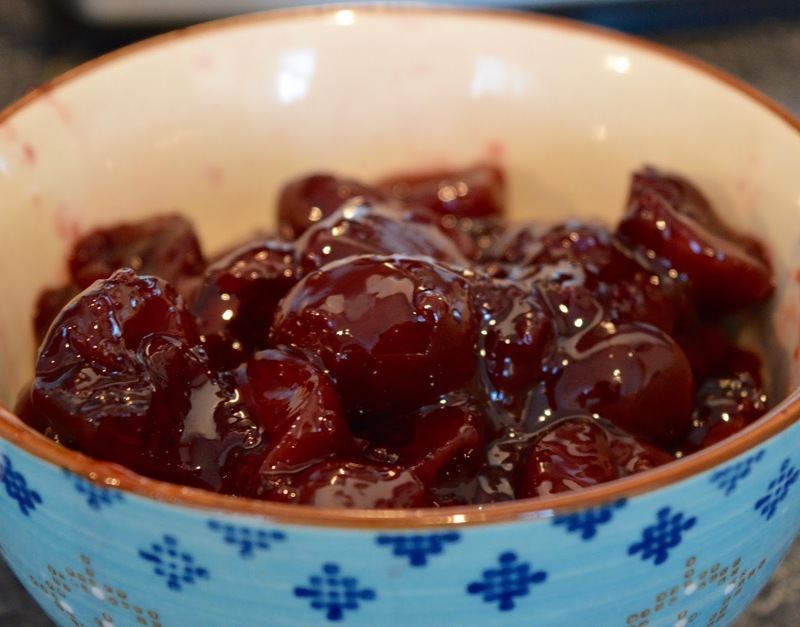 Mix in a bowl with the cherry jam and set aside until needed. 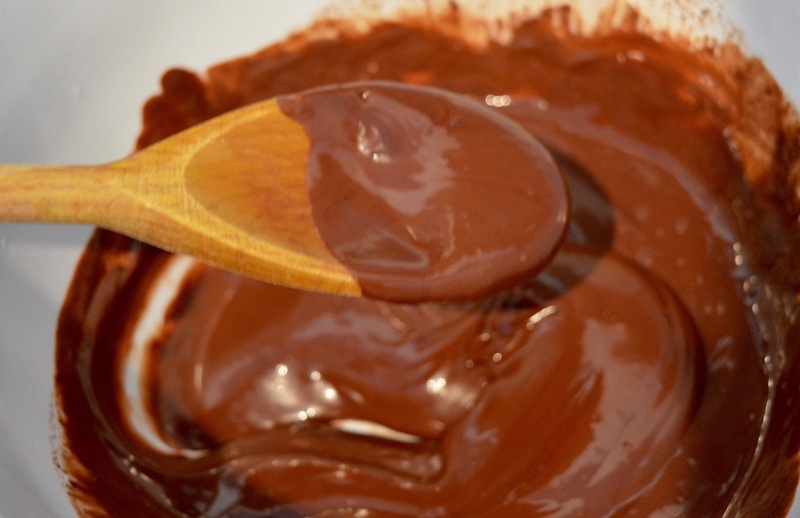 2 - Chop your chocolate into small pieces and place into a heatproof bowl. Meanwhile, gently warm 200ml of double cream in a pan until it just reaches a simmer. Remove for the heat and pour into your bowl. 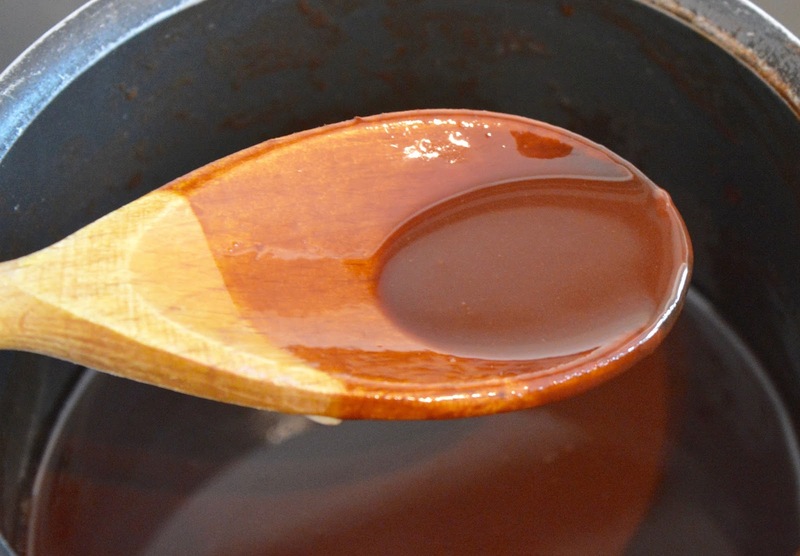 Stir with the chopped chocolate until it is well combined and allow to cool. 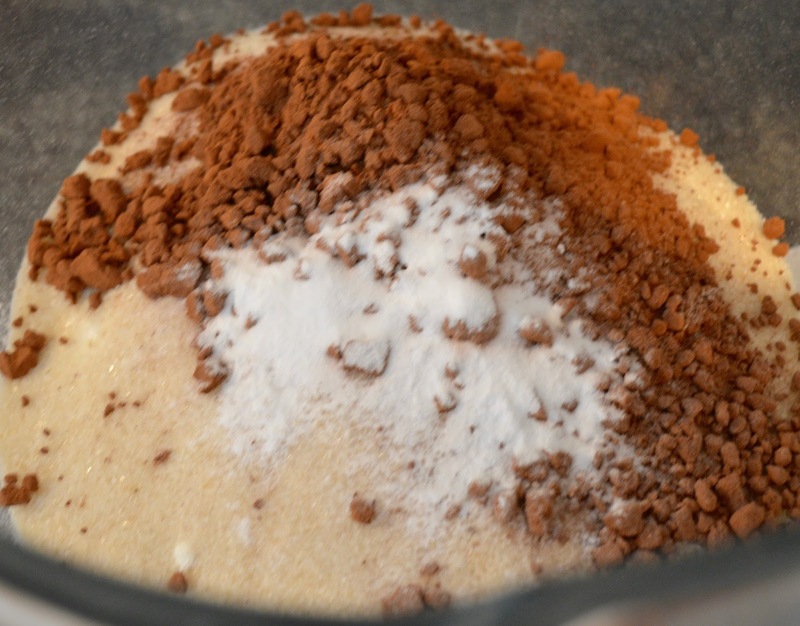 3 - Whisk 300ml of double cream with the icing sugar and spread over the first cake. Then carefully spoon half of the Cherry Jam mixture on top. 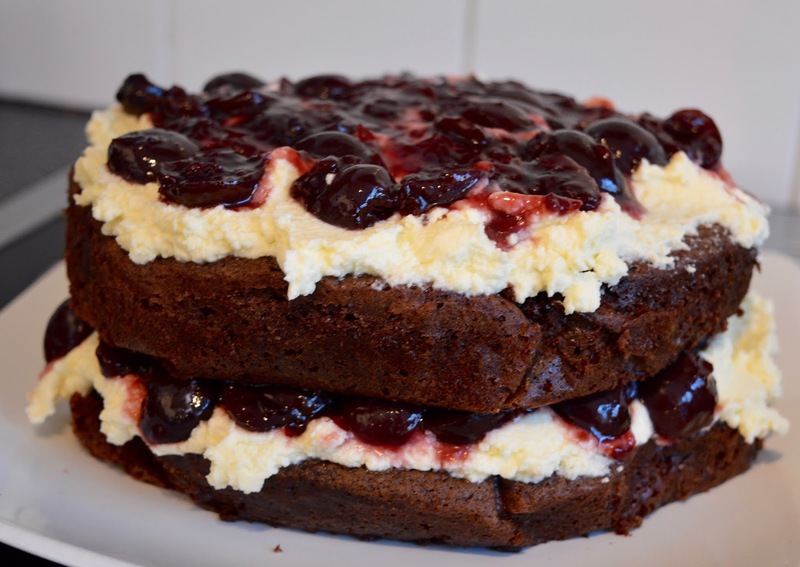 4 - Add your second sponge and again, spoon over the cream followed by the jam and then add your final sponge. 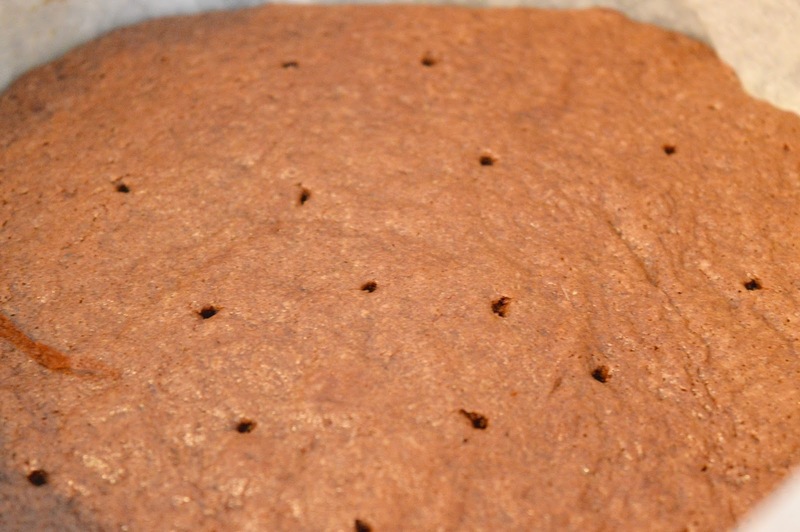 5 - Spread your chocolate mix on top of your cake and cover with chocolate sprinkles. You can serve immediatly or chill for a few hours. I have really impressed myself and I'm so pleased I made the effort to do this. You'll have to take my word for it that this gateau tastes absolutely divine and it is just as good as my gran's from the 80's. Let me know what you think. Hopefully I've inspired you to get cooking too. Disclosure: This post has been supported by Rennie but all thoughts are our own. Erm! What happened to my slice?! ?